Eggy Ley, born in London in 1928, was one of the pioneers of classic soprano saxophone in England. 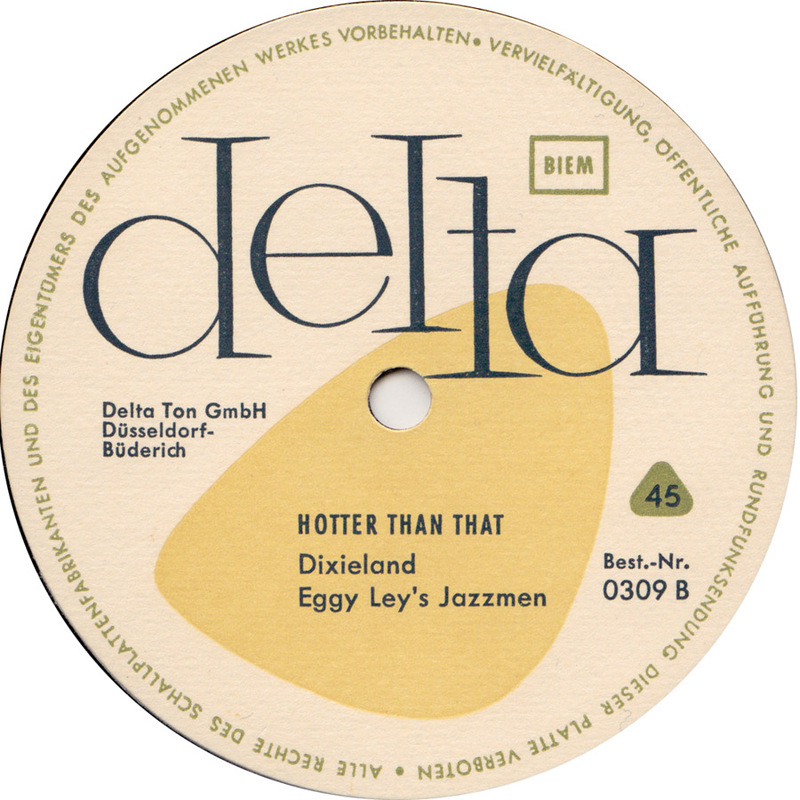 From 1955 to 1961 Eggy Ley and his Jazzmen toured extensively in Germany and recorded for Columbia, Sonet and Brunswick. After returning to London he joined Radio Luxembourg in the 1960s before producing for BFBS in the 70s. From 1983 leading his own Hot Shots, Ley turned professional again, ran a small jazz magazine “Jazzin’ Around” and successfully recorded and toured abroad. He later moved to Vancouver, Canada where he died following a stroke in 1995. 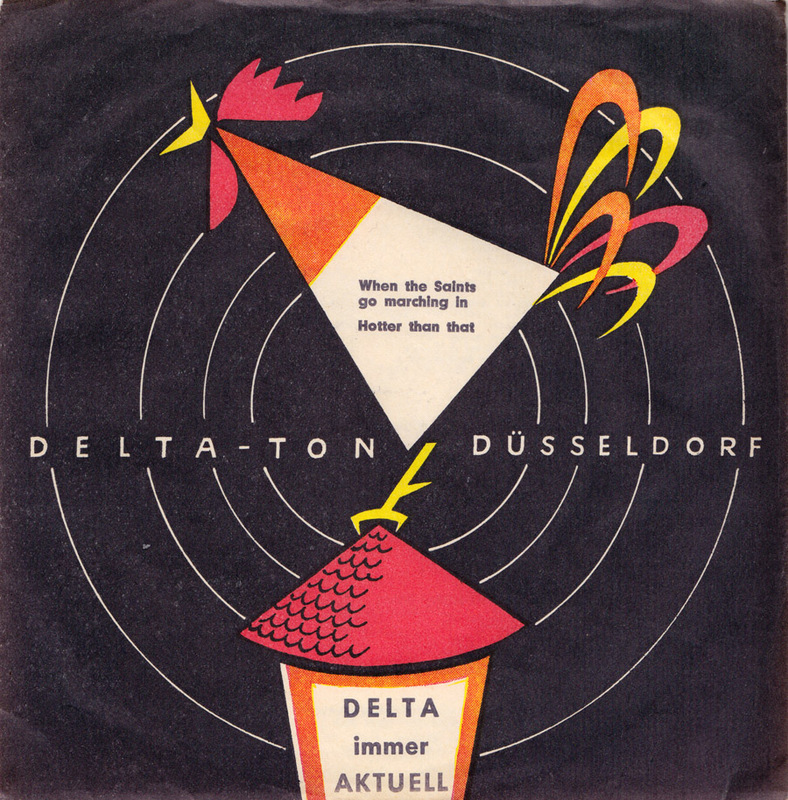 Somehow Eggy Ley´s cover versions of these two Louis Armstrong classics from the 1920s even appeared on the cheapo Delta-Ton flexi-disc label out of Düsseldorf. Hi Andreas, I stumbled on your article today about my father Eggy Ley, Thanks for your information as this was all new to me. Glad you like the music too. I have shared your article on my Facebook timeline and have some Jazz musicians who would like to hear the music. I appreciate you have gone to a lot of trouble and you have said to not ask for re-uploads. I wondered if you would kindly provide me with copies of maybe all four tracks? I could host them on eggyley.com if that helps or use Drop Box as you did. I hope to hear from you, thanks. thanks for your comment. I´m glad you approve of my posts. It´s a fortunate that you do care for your father´s legacy. If you don´t mind, I will put the MP3s back up, so you can download from here. I also have another Delta 45 of Eggy Ley – “Red River Valley”, that I can post. I just have to record it and scan it. I’ll have to look through the 45s I have and see if these are among them. Thanks for your reply and for re-uploading both tracks. Loads of youthful energy and enthusiasm. An appropriate record title as it definitely sounds “Hot” from 1958. There’s not much of that left on the current 21st Century Trad Jazz circuit! versuche den Wert einer single im web zu ermitteln: The old Grey Mare von eggy ley´s jazzmen und bin daher auf Deiner Seite gelandet. 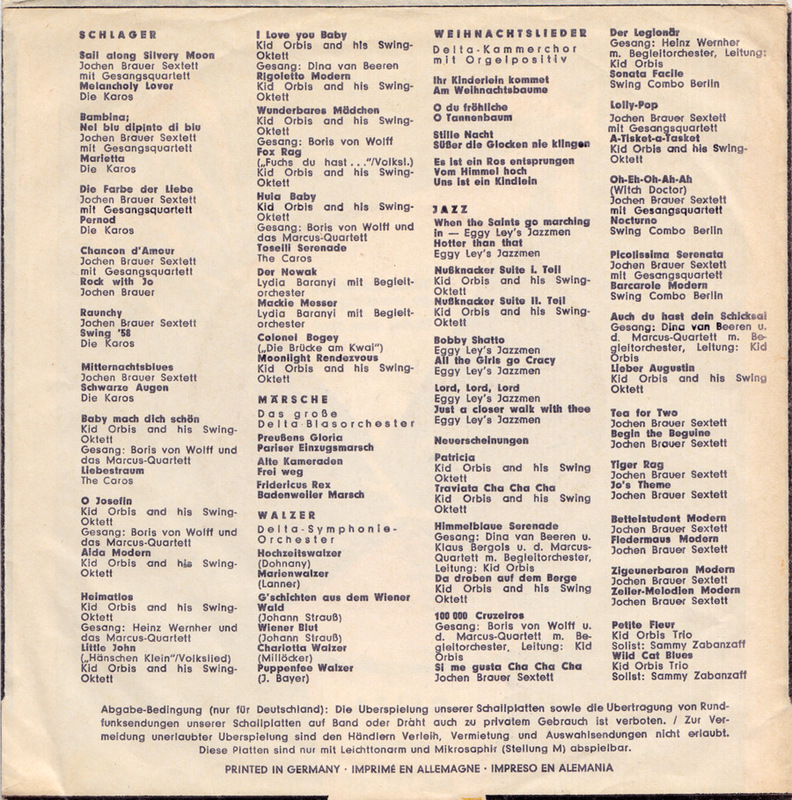 Das Besondere an der single ist, das sie entweder aus sehr dünnen Vynil besteht oder Gummi!? Ausserdem Könnte die Unterschrift als Original drauf sein. Bin mir hier nicht klar, ob es sich vielleicht um eine Druck-Unterschrift handelt! ?